Actor Wu Jing has been in many action films in Hong Kong and now has transformed in the 5.58 billion RMB box office champion legend. Yesterday he made a superstar return to Hong Kong for the Hong Kong premiere of his written, directed and starred film WOLF WARRIOR 2 (JIN LONG II); lead actress Celina Jade (Lo Ching Shan) also attended. Although it would only be a whirlwind stay in Hong Kong, he showed appreciation for his connection to Hong Kong. 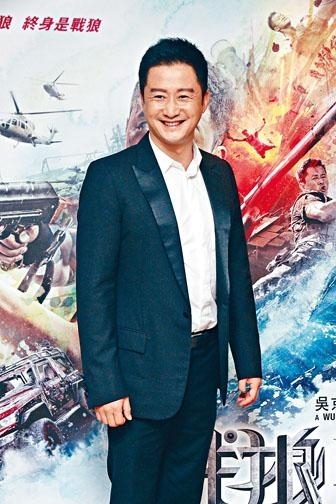 Wu Jing revealed that he mortgaged his home for the film and at the end of last month he finally no longer needed to rent a home as he could get his back. Speaking of the rumor that he and Donnie Yen Chi Tan were at odds, Wu Jing said that earlier they ran into each other and Yen congratulated him. Would he and Yen Chi Tan have another chance to work together? He said that it would depend on whether the audience would give them that chance. WOLF WARRIOR 2 has become a hit in the Mainland. Its current box office has made over 5.58 billion RMB to become the highest grossing film in Chinese history, one of the top ten highest grossing film around the world this year and in the top 100 of the highest grossing films in the world in history to create a Chinese film legend. This film last night held its Hong Kong premiere. 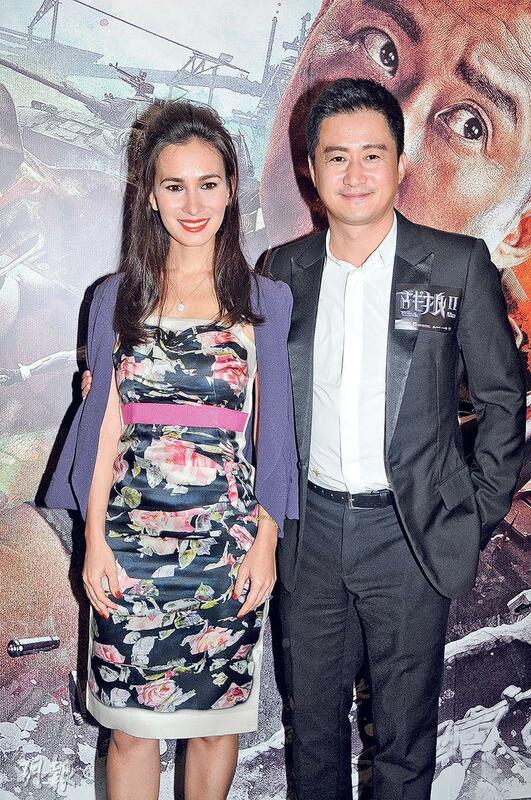 Wu Jing attended with lead actress Celina Jade. 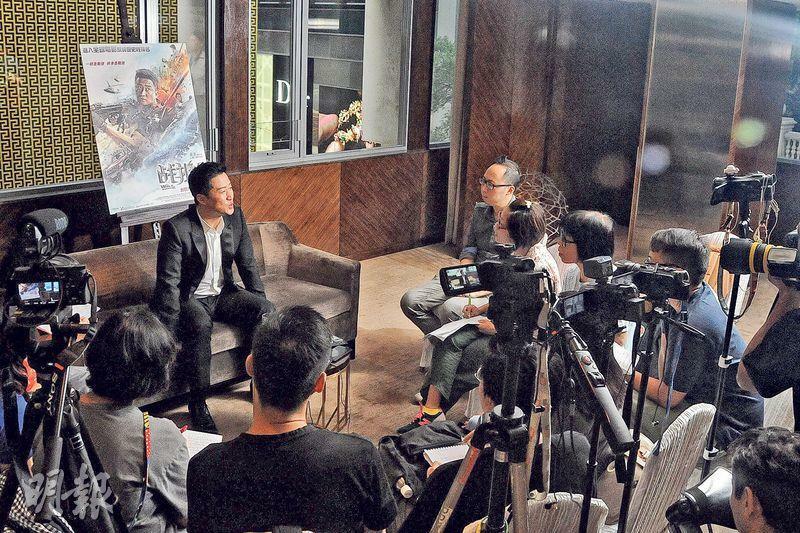 Wu Jing stated that when the box office reached 800 million he was the happiest, because the film already broke even, he was able to breathe a sigh of relief and answer to everyone. He said that he had no set goal for the box office at the moment. "Many people ask me what is the target, am I confident that it will pass 6 billion? How do I know? This film's life started from the moment of its release. It no longer belongs to me. Whether it is glorious, miraculous, criticized or rotten, the audience are the ones who evaluate. It's beyond my control." This film to him was priceless. Because the production had 1700 employees, during the shoot 20 were paralyzed from spider bites, injured by lion, had a gun to their heads, truly too many people have contributed. Wu Jing said that earlier everyday he went somewhere to promote and felt very tired. His biggest wish was to lay his head down and sleep to celebrate the box office success. Luckily the Hong Kong stop was the last. Hong Kong to me was very meaningful, it was where his film dream started. He thanked Uncle Ba, Paco Wong, director Benny Chan Muk Sing, director Wilson Yip Wai Shun, director Soi Cheang Po Shui for giving him a lot of knowledge. Did he feel like returning home a success? He said, "No, I am still a little nervous inside because the film has flaws." Did this film avenge him? He instead felt that huge pressure. Now he is thinking about what to make next and has no idea how to make it. "10 years ago I already had this script for WOLF WARRIOR 1 to 3. When I made the first one, the entire world was against it. Now the box office has been proven, but it is 10 years later. The world has changed. I have to arrange anew how to keep it going. However patriotism will be mainly featured, it still lacks an explanation of the relationship between the leads." Wu Jing put up his car and home for collateral to invest in this film. He admitted that after the box office success, starting last month he no longer had to rent a home as he already paid off the mortgage. Earlier Donnie Yen Chi Tan was rumored to look down upon Wu Jing when Wu was a supporting player in the film SPL. Did he invite Yen Chi Tan? Wu Jing said, "Several days ago I ran into Chi Tan and Brother Jet (Li), the three of us had the same type of martial art masters, worked with Lord Eight (Yuen Woo Ping) on movies. Chi Tan congratulated me." Would he and Chi Tan work together again on another film? 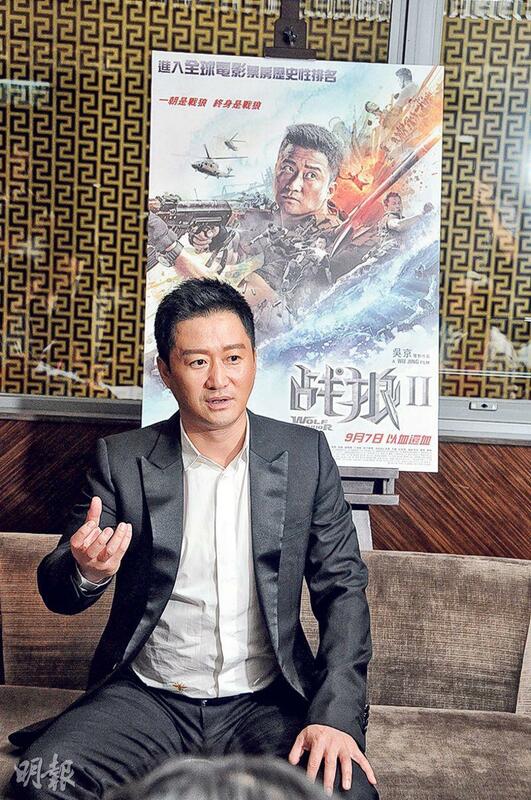 Wu Jing said, "That would depend on fate, on whether the audience would give us the chance. Of course it would be great to work together." Yen Chi Tan clarified the dispute rumor and said that he smacked a table and asked for more scenes for Wu Jing. Wu Jing said, "I am an actor, I don't know. You should ask the director." After he got the script, did he get more or less scenes? He said, "When I got the script it was the final cut, I only had one line. Actually I shouldn't even have that line, the character would be even cooler if he didn't speak." Wu Jing earlier in an interview thanked people who bullied him before. Who was it? He said, "In the 90s, when I was making movies in the Mainland people bullied me." Did anyone bully him when he came to make movies in Hong Kong? He said, "I know how to fight too, in Hong Kong the problem was mainly the language. Life forced me to learn Cantonese." Who did he feel was a better fighter between him and Yen Chi Tan? Wu Jing said, "The two of us would probably be better off playing mahjong. We are both in the business, why don't we make good movies and fan the flame less!" The Mainland audience suggested for him to donate 100 million to charity. He directly said, "No problem, charity is a long term behavior. It's not for show. The most important is being able to help people in need. I have discussed this issue with Brother Jet. He taught me to keep my feet on the ground and listen to my conscience. Naturally someone will speak up." Celina Jade was very happy for Wu Jing because they have known each other for 10 years. She has seen his hard work to bring his career from low to high. She participated in the production and learned a lot. She was very happy that the audience was able to recognize that she was half Chinese and fulfilled her late mother's wish. She said, "After I made LEGENDARY ASSASSIN I went to work in the U.S. Mama told me not to forget that I was half Chinese and asked me why didn't I return to Hong Kong to work. Then last year Wu Jing hired me to be the lead actress and brought Mama who was seriously ill at the time motivate to fight her illness. Mama said that she wanted to visit the set and attend the premiere, unfortunately she passed away in January." She said that she would not be greedy and ask for a bonus. This time her gain could not be measured with money. Whether she would be able to take part in the third film she would let it be. She said, "I saw how dangerous this film was for Wu Jing, even Hollywood has never shot a six minute underwater fight scene, tank drifting, the credit should go to the team."